Do you require the best central heating services Southampton has seen? If so, give Combi-Nation a call today on 023 8077 5666 and discover why we’re the number one choice for domestic and commercial clients across the local area. As approved Broag and Worcester installers, you can be confident that you’re in safe hands with our Southampton central heating services. When it’s freezing outside, you shouldn’t have to contend with the cold indoors which is why you need a reliable and cost-effective heating system. Here at Combi-Nation, we are the leading choice for central heating services in Southampton with expertise that covers installation, repairs and servicing. Whether your current system is acting up or has ceased working entirely, we have you covered. We are available all year round, even on Bank Holidays, so if you’re in need of the finest central heating services Southampton has to offer, look no further than Combi-Nation. How can we help with your Southampton central heating services? Here at Combi-Nation, our central heating services Southampton team are committed to making new heating systems as affordable as possible. To that end, we supply central heating systems that are tailored to your requirements with options to suit all budgets and any sized property. 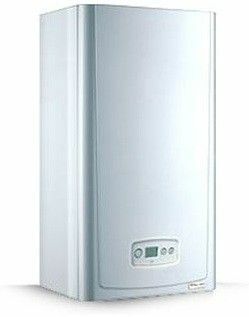 We supply two types of boiler; Combination and Condensing, and we will always recommend the one that is best suited to your central heating services in Southampton requirements. On top of that, our central heating services Southampton specialists also install conventional and column radiators as well as towel rails for your bathroom. Our radiators come with side panels and top grilles, a smooth all-white finish and a unique two-coat paint guaranteed to provide many years of reliable service. For our column radiators, these are bespoke and made-to-order in an original cast iron design. The Steirad Column Radiator features a smooth finish that is similar to our conventional radiators. Alternatively, we supply the Classic Cast Iron Column Radiator which is made of cast iron and comes with a textured finish. At Combi-Nation, our Southampton central heating services supply and fit towel rails in all manner of sizes with a range of finishes including chrome, white and gold. Once we have found the right system to meet your requirements, our team will proceed with getting everything installed and setup. Our central heating services Southampton professionals will take care of everything and all work will be carried out in-line with British industry standards. We will even demonstrate how to operate the system, so you’ll be good to go by the time that we leave. The beauty of our systems is that they allow for hot water to be drawn simultaneously in any room without any loss in performance. Plus, thanks to the fast recovery rate, your hot water supply will be replenished in as little as 25-30 minutes. We can also provide power flushing for heating systems that have been inundated with large amounts of sludge. You can learn more about this by clicking here. For those times when your boiler breaks down entirely, our central heating Southampton services will make you a priority with a view to having your heating systems fixed in no time at all. If you have any questions, get in touch with our team and see for yourself why our customers feel that we supply Southampton central heating services that are the best around. What makes us the most trusted choice for central heating systems Southampton has seen? Here at Combi-Nation, we feel that you should never have to pay over the odds for central heating services in Southampton; and with our ultra-competitive pricing policy, you won’t. As an established company, we are committed to supplying excellent products and a high level of customer service. Our customers choose Combi-Nation for their Southampton central heating services as they trust us to never undertake work unless absolutely necessary. There are no hidden fees, and we never increase our prices for quoted work unless your specifications change. As a company, we pride ourselves on quality and vow to never cut corners or accept sub-standard workmanship. Each member of our fully trained and certified team is F-Gas approved and capable of handling all central heating services in Southampton. We supply the latest in heating and boiler technology as well as FREE quotes and advice. So, if you’re looking for Southampton central heating services, look no further than Combi-Nation. Call Combi-Nation today on 023 8077 5666 and choose us for the finest central heating services Southampton has to offer.